Don't plan anything for 20 of Semptember! Our bartender Emil will prepare such a special event for you. 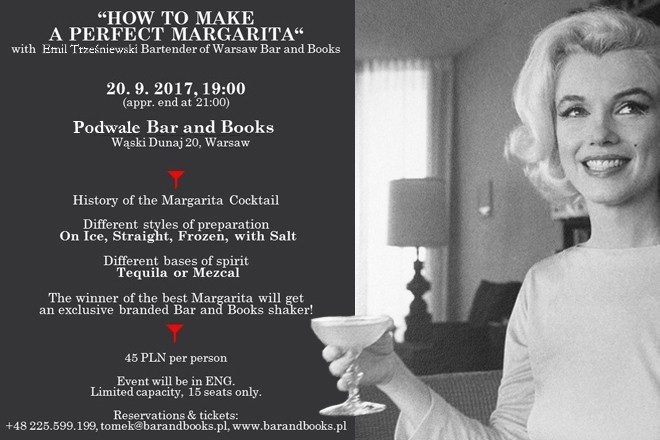 It will be full of tequila, mezcal and mexican vibes because He is going to show You how to charm Your friends with the best Margarita ever. Emil will explain You differencies between tequila and mezcal, He will show You different ways of margarita's preparation and teach You some tricks to make this cocktail better.